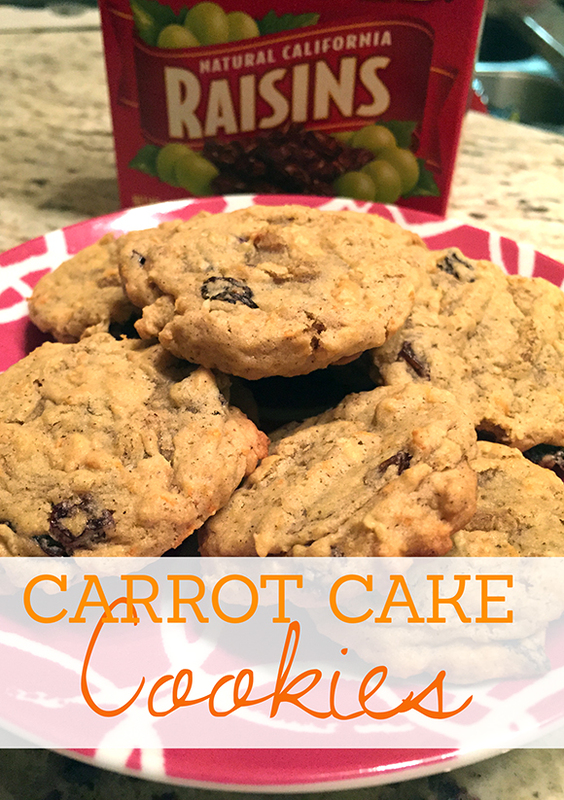 Carrot Cake Cookie Recipe – Sneak Fruits & Veggies in for Your Kids! In case you didn’t know, this is National Raisin Week! To celebrate, I thought I’d share a recipe that features a lot of raisins, and is delicious – carrot cake cookies. I grew up eating carrot cake, and never even really thought about the fact that it had veggies in it. 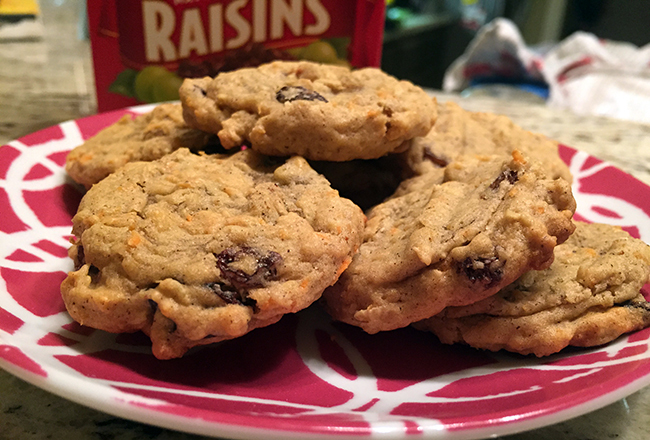 I just loved the cinnamon flavor and juicy raisins, which is why I think my kids will love these carrot cake cookies. Since they’re crispier than cake, I think the texture of the carrots will be hidden even better – and who doesn’t love raisins in cookies? I even added rolled oats for a little extra fiber and texture! In mixer, cream together butter, sugars, egg, and vanilla on medium speed until well-blended and fluffy. Add in carrots, salt, cinnamon, baking soda, nutmeg, and cloves. Add flour a little at a time, allowing each bit to incorporate before adding more. Stir in rolled oats and raisins. 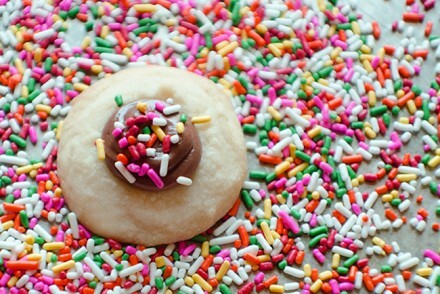 Place tablespoon-sized mounds of dough on a cookie sheet (12 to a sheet). 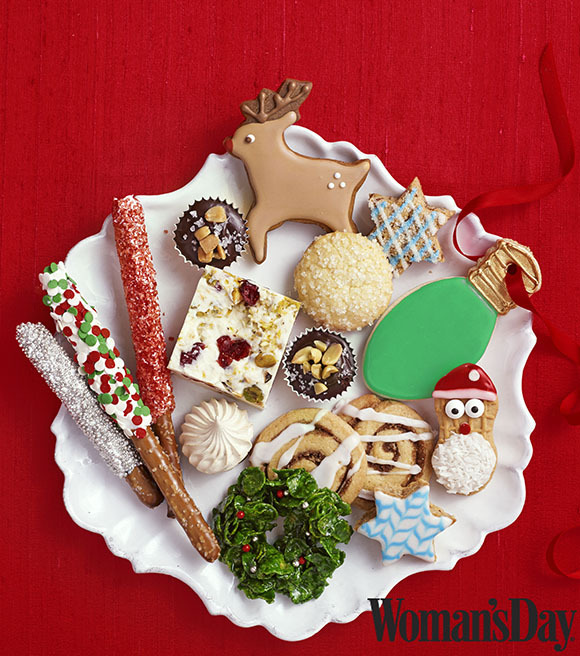 Bake for 12 minutes or until cookies are slightly browned on bottom – they won’t look very brown on top. Press each cookie down with a spatula to flatten it. Let cool, and serve. You can top these with a cream cheese frosting, but they’re delicious on their own! What a great idea! My son is not the best at eating vegetables but he’d eat these! What a clever idea! I love, love, love carrot cake, so I bet these are amazing. 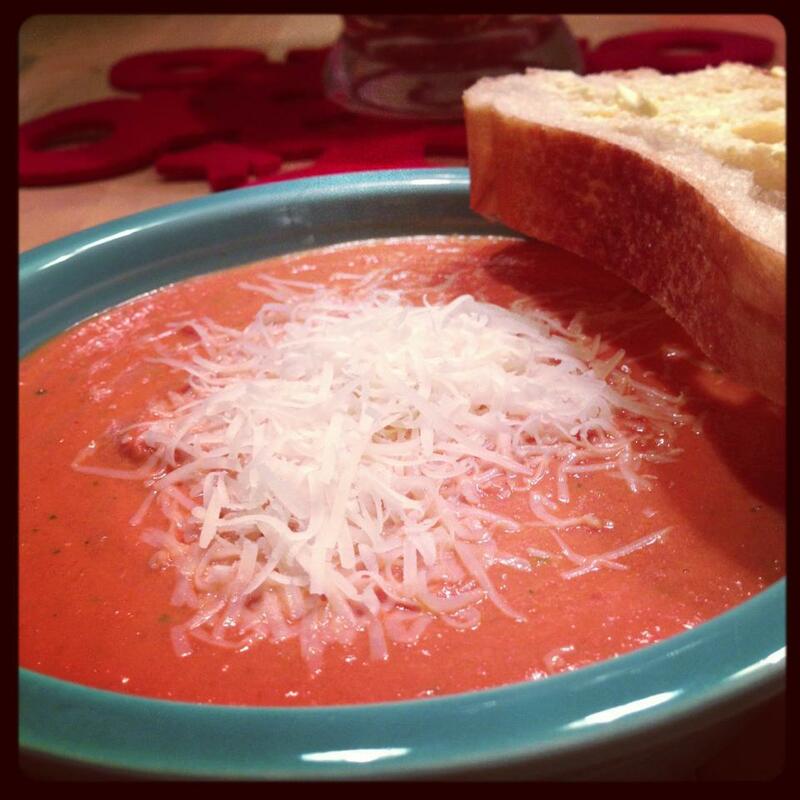 Yum, these looks so delicious! I love carrot cake, it is my favorite! Can’t wait to try these! Gymboree Partners with Kiwi Crate & KaBOOM! to Make Sure All Kids Get Active Play!